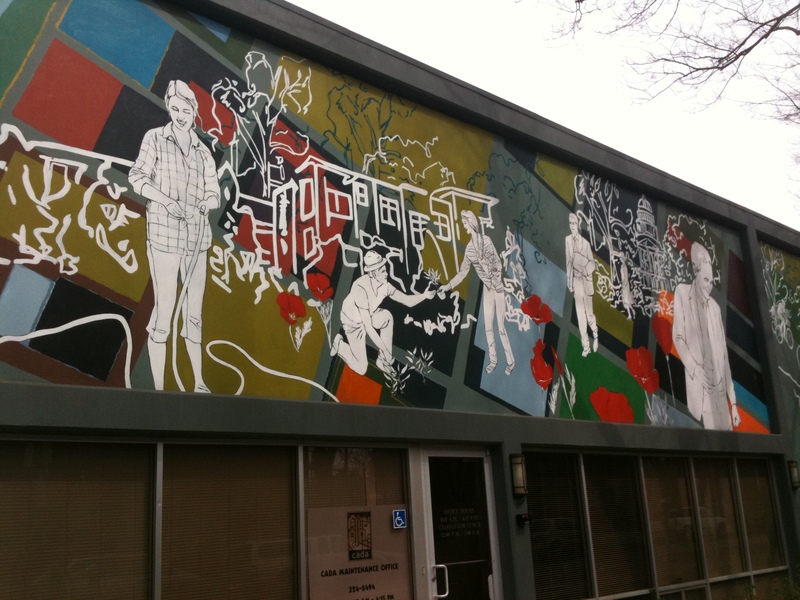 Sacramentans are gardening, biking, walking to work, restoring Victorian homes, and playing with pets and kids on the mural that graces the CADA Maintenance Office at 701 S Street. 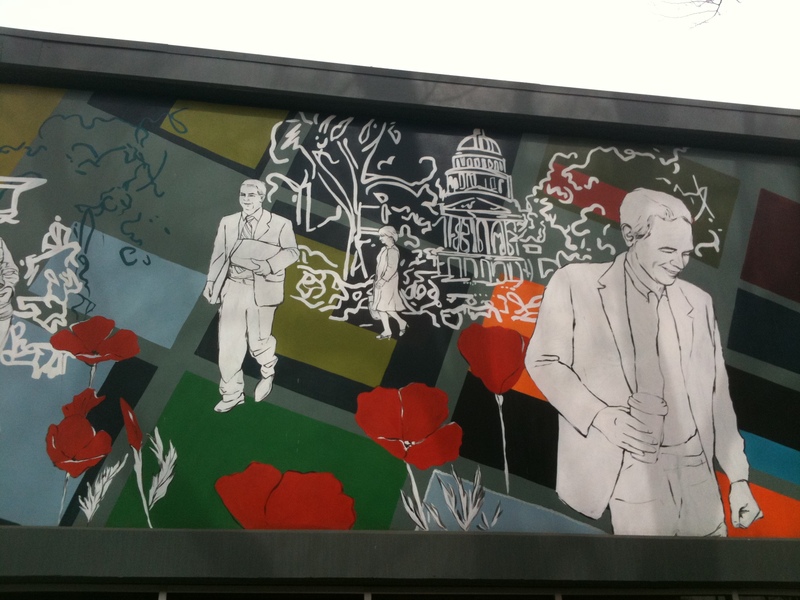 The figures in the mural are surrounded by trees and Golden poppies (the California state flower), and all of this is overlayed on a colorful grid map of downtown streets. 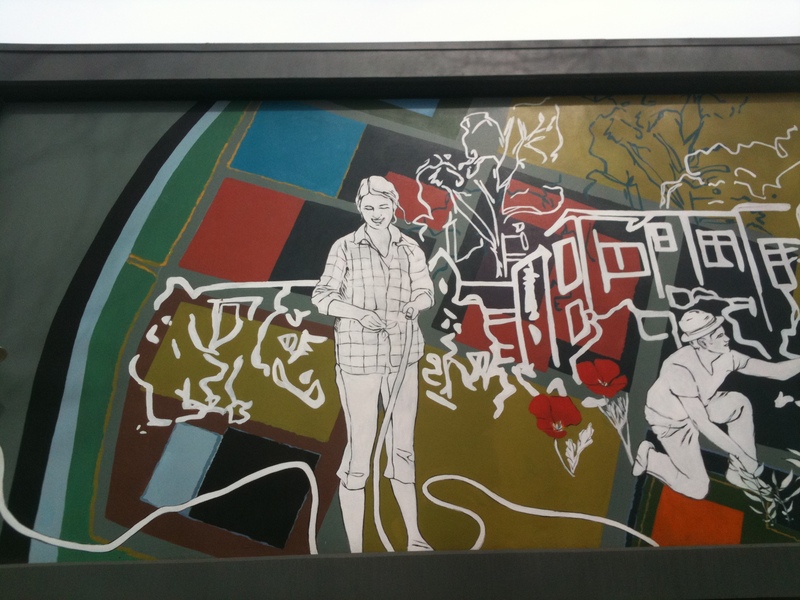 Local artists Sophia Lacin & Hennessy Chrisophel of Lacin Chrisophel Mural & Design completed the 3-panel mural in July last year. The main centerpiece is 40’x10′ and the right and left panels are both 19’x19′. The artists’ website has a great photo of all three panels together. CADA is committed to building a sustainable Capitol Park neighborhood that captivates city dwellers and inspires the people of California. 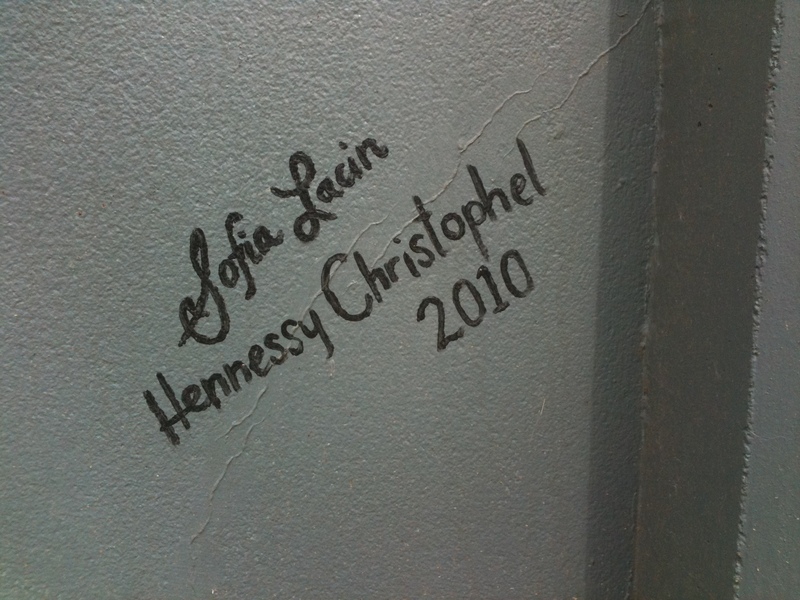 Lacin and Chrisophel have been active muralists since they opened their business in 2007. Last week’s ArtTake post on SacPedArt included the mural for Cuffs Urban Apparel which is also their work. The artists’ photo of the Cuffs mural is much better than the one on my post. The current work-in-progress for Lacin and Chrisophel is a 4-million gallon concrete water tank in Davis. 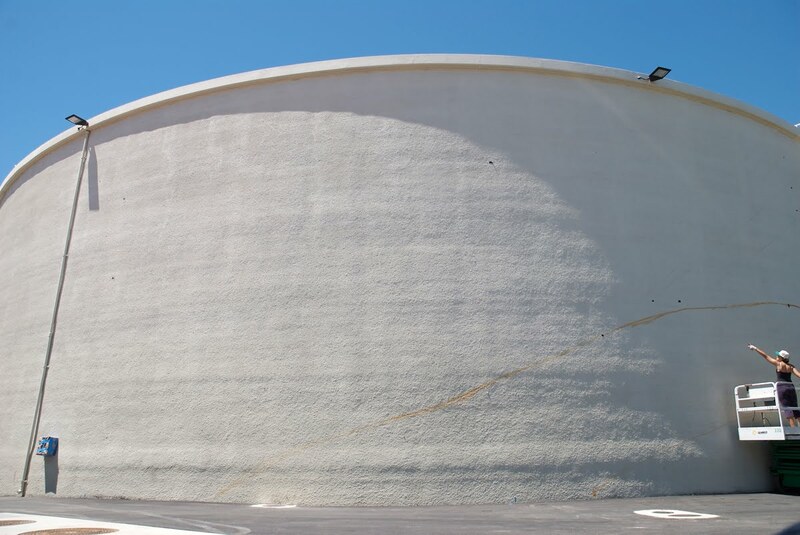 The tank is about 135′ in diameter and 32′ high which equates to a square footage of 13,568 of blank canvas (click to see photo)! The artists post updated photos on their blog and plan to have live streaming video as well. 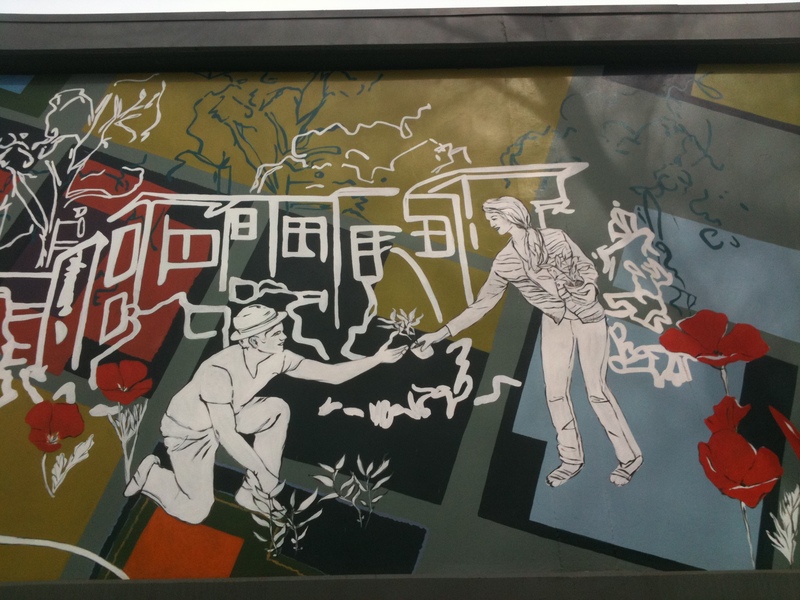 My favorite from their portfolio (both visually and because of the story behind it) is the mural they created pro bono for Volunteers of America Bannon Street Shelter; a shelter for families who are homeless. 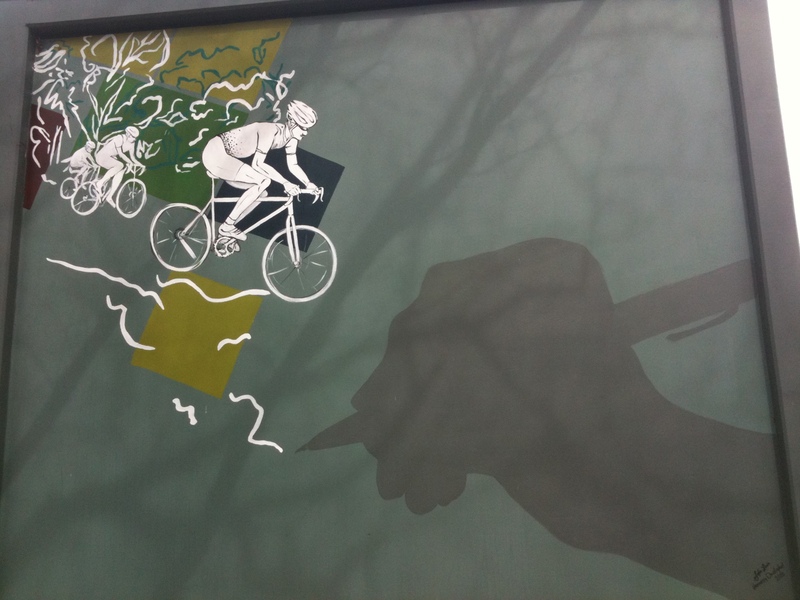 The mural is 35’x7′, covers the wall of the dining area, and faces the toddler’s play area (4). Lacin and Chrisophel focused on inspiring the children when they designed the 4-panel mural. In this KCRA news video, the artists describe how each panel communicates a particular image for the children. The first panel is a garden scene about growth and health; the second is an education image; the third is a playground image about cooperation, friendship, and acceptance; and the fourth image is about individual inspiration and possibility. In the video, the director of the shelter explains how the children at the shelter are often in a very uncertain and unstable time in their lives, and the images from the mural offer much needed help to “bring the children to the point of possibility in their lives” (5).